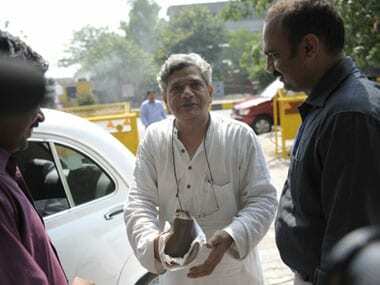 You have been plugging for the Left as an alternative to both the BJP and the Congress for some time now. This seems like a pretty neat idea, though it will be a hard sell. It’s like selling Bhagavad Gita to Maoists. 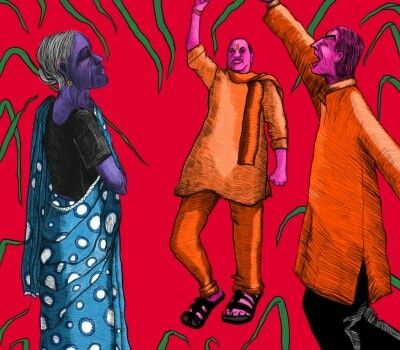 But when – and if – the people of India finally grow tired of Narendra Modi and the antics of Sangh Parivar, they might just think of looking your way – only if you first tidy up the eminently irrelevant CPI(M) and turn it into something relevant. Here is how you might be able to pull it off. 1. Rid the CPI(M) of all hypocrisy. So stop hollering about the saffronisation of universities. That will only remind voters of similar crimes that CPI(M) committed on West Bengal’s educational institutions, in a far more brutal fashion, when it ruled the state. 2. Don’t beat the communist drum for CPI(M)’s 34-year rule of West Bengal, saying your party is capable of clean politics and better economics. Don’t. 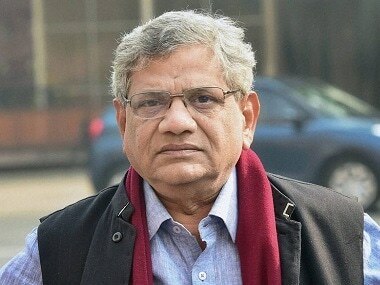 By now, it’s common knowledge that CPI(M) received a humiliating drubbing in West Bengal after making a mess of the state’s finances and letting loose terror on people on a scale seen nowhere else in India. 3. And stop singing the praise of Chavez and other washed-up communist leaders. One of your recent resolutions said: “Despite the setback suffered by the death of President Hugo Chavez, Venezuela and the Left governments in Latin America have struggled to advance the alternative path challenging neo-liberalism and imperialism.” Look at the facts. Chavez left Venezuela’s finances in such a humongous mess that the current president wants to declare an “economic emergency”. The inflation was the world’s highest at 275 percent last year, and IMF says it will be 720 percent this year, according to Bloomberg. Your song and dance about Chavez will make Indians fear that, if voted to power, the CPI(M) will make India just as broke as Venezuela. If talk you must, talk about EMS Namboodripad. As India’s first non-Congress chief minister, the man did a fine job, laying the foundation for what was later hailed as the “Kerala development model”, though it was studiously destroyed by his successors. Or talk about AK Gopalan, the first opposition leader in Parliament who had fire and commitment. Your predecessor Prakash Karat will vouch for it. He was Gopalan’s secretary for two years. 4. This is an easy one. Take a hard look at the voting figures of the last three general elections. 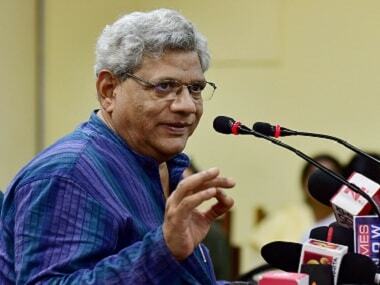 The CPI(M)’s performance plummeted from 5.6 percent votes and 43 seats in 2004 to 5.3 percent and 16 seats in 2009 and to 3.2 percent votes and nine seats in 2014. Right? The BJP’s score has been getting better, of course. The party notched up 31.3 percent votes and 282 seats in 2014. So Modi didn’t usurp power by a military coup, did he? Nor was he planted there by “US imperialists”. People of India voted for him, rightly or wrongly. You just didn’t get the votes. And now time for action. Send all the communist apparatchiks at your command to the many nooks and crannies of India and find out why you didn’t get those blessed votes. 5. Your apparatchiks will tell you that one of the reasons why you have almost made a habit of losing elections is that the “middle class” that exists in India today is different from the one you shout about in party meetings and political rallies. Stop mouthing “middle class” again and again, as if the damn phrase opens the doors of vote banks like Ali Baba’s password for the treasure cave. Pay some attention to what Karat says in this candid article in The Indian Express. 6. Find out why you don’t gel with the youth. If your apparatchiks have interviewed enough young people and report to you honestly, you will discover that, to today’s young people, even more than the older people, “communism” stands for fossilised ideology, denial of civil rights, bad economy, unemployment – and crass, insufferable jargon. It gives them the jitters. Exceptions, of course, are those dewy-eyed children at enlightened institutions like the Jawaharlal Nehru University who, brainwashed with the lies, half-truths and myths of communism, hallucinate about the revolution that is round the corner to vanquish the evils of capitalism and US imperialism. 7. Don’t equate Hindutva with Hindus. They aren’t the same. Your apparatchiks will tell you that not all the 21.3 crore voters who voted for BJP and its allies in 2014 back Hindutva of the sort promoted by some fanatical elements in Sangh Parivar. Many who voted for NDA are liberals, who had had enough of UPA. They decided that Modi was the man of the hour. Now these liberals are watching BJP and the Hindutva elements with feelings ranging from disappointment to derision and with fingers crossed, but they can’t make up their minds about Modi yet. If the situation demands, they just might be in a mood to vote for a non-Congress, non-BJP alternative, if there is one with promise of cleaner politics and better economics. There isn’t any right now. Hence this Do-It-Yourself guide. 8. Renounce violence. 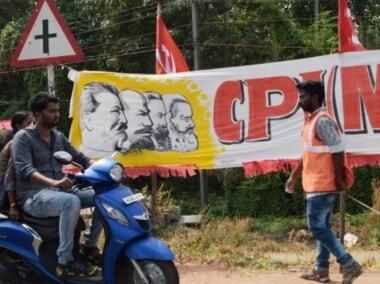 For many Indians, communism is synonymous with it. For you, violence is part of “Stalinist vanguardism” to take control of things. What good did it do in West Bengal? What good is it doing to you in Kerala? Violence has no place in a civilised society. Lenin would have agreed with that. 9. Revamp your Politburo. Shake it up, will you? Despite your highfalutin rhetoric about Dalits, women and youth, there aren’t enough of them in the Politburo which seems to be packed with old, intolerant curmudgeons. Send half of them home and bring in Dalits and youth—and women. Prefer those who struggled at the grassroots over Johnny-come-latelys. Neither you nor Karat nor his wife Brinda have a grassroots record. The closest you and Karat came to a “revolution” was when you both became instrumental in turning JNU into a Leftist bastion in 1970s. Marx said religion was the opium of the people. You and Karat made Marxism the opium for JNU students. And Brinda’s singular achievement was her successful struggle, while she worked for Air India, against the mandatory wearing of skirts by air hostesses. So bring into the Politburo grassroots men and women. 10. Don’t talk of “mass struggles” if you only mean hartals or bandhs. These get on people’s nerves. Each hartal may cost you maybe 20,000 votes nationally. 11. Get on rooftops and shout till your throat gets all sore that the CPI(M) is loyal to India. That’s because – you guessed it – there are a good number of Indians who believe that you sneeze when it rains in Beijing. They remember that many CPI(M) leaders took China’s side during the Sino-Indian war. 12. Finally, make it clear who you are. Communists? Or just social democrats (or democratic socialists)? Marx said: “The theory of Communism may be summed up in one sentence: Abolish all private property.” You believe in this? If you do, you have no room in India’s politics. It seems you don’t believe in it. So you are not communists, and so drop that blighted word ‘communist’ from your party’s name: I am not the first to say this, and I won’t be the last. This is what S Prasannarajan, the Editor of Open magazine says in an article.